but don’t know if the tips are going to be worth it. Has anyone used this guy and or have some info on whether it’s worth the money? No idea if any good but you will get help here. What areas do you fish? I saw this website along time ago. Is he still operating as the website and photo's are about 10years old? I’ve called Wayne, he said things had slowed a bit and I think he was surprised to hear from me actually but did mention he was still happy to run a course. 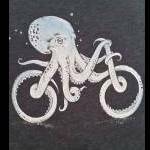 The biggest thing I am missing at the moment is burley techniques and where to fish. On the west coast you just fished reefy areas on the drift and eventually got lucky. In Vic you sound around till you see a big school then drop on or near them. Both cases you could just use cut up pillies. Is this the case here or how do you do your Berley? I’m half thinking of getting a mulcher and putting some carp through it and freezing into blocks. cheap, but would it work? When i went out with my mate chasing them on plastics and jigs we used to hit the school up... But you need to know where they are so knowing someone in the know is always a start. I have found the snapper in metro adelaide a bit slow in the last few years but they are still around - just in smaller numbers. I suggest joining a fishing club (I'm part of the NDSFC), as you get a lot of help and can tap into some unreal knowledge (and if you are lucky, some closely guarded marks). There are also guys who do fishing tuition, such as Brad Corrie and John Winslet (ex charter operator), who are also also brilliant and have their fingers on the pulse of the local scene. 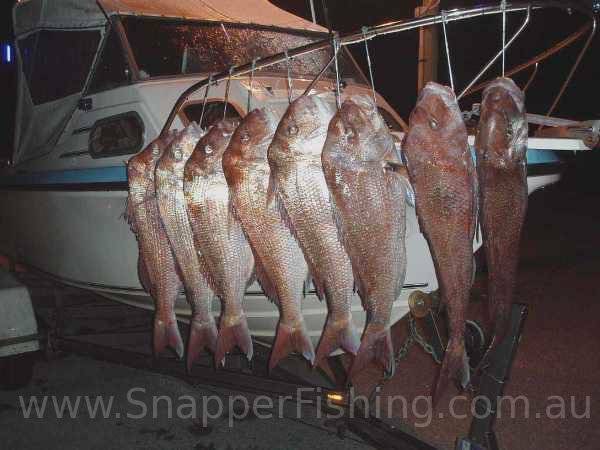 All I ever used for Snapper were Tommies, used to buy then whole in 5 kg lots (or what I caught) then filleted them unscaled on the way out to where I anchored & fished for them, used the heads & guts for burley.. Had plenty of success on the Snapper with just the Tommie Ruff as bait.. A good spot was sitting off the end of the main Outer Harbor breakwater as well as the second channel marker, behind Torrens Island along the edge of the outer channel in line with the channel markers also gave up good size snapper.. always fished at night for them in those areas.. I'm going back a very long time now, but there's still no reason you wont catch them there.. unless there's been some rule changes..
Btw when you say behind Torrens Island do you mean the port river side or the St Kilda side? Lots of time matey , try different areas , keep trying , and then try some more , fishing is hard some times , but if you put in the hard yards , you will find them . Barker Inlet... St Kilda side of the Island.. I've also caught Snapper there on an incoming tide at 3:00pm in the afternoon too.. 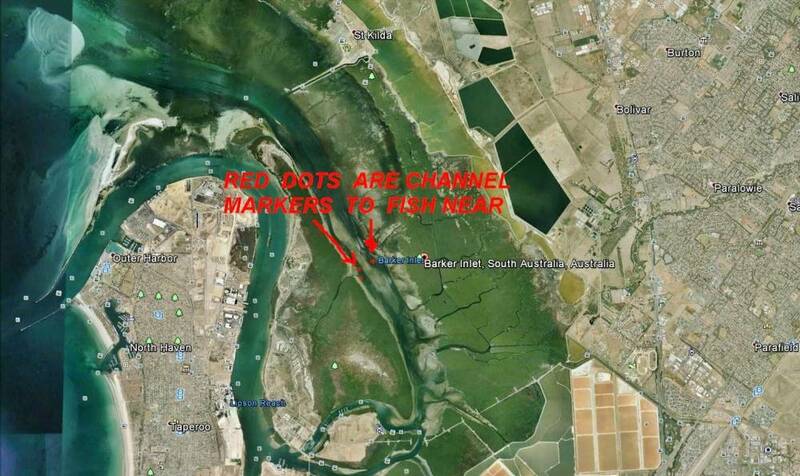 This is the old channel adjacent French Tom Creek & the other is the main channel pole by the looks. I've only done a couple of tests with carp versus pilchards as bait - and it performs well by comparison on little fish. I salt mine down so they last the season and use smallish chunks on flasher rigs - beats playing mushy pilchard roulette with the frozen baits. Heres one I cut up last week - it would be great fresh but I need mine to last, so it has to be salted. Re the fishing lessons - I've never done it, but I wish I had back in the day - there is nothing more valuable than experience in hard fished areas - going out with a pro could save you 20 years of mistakes and dud trips. If you dont have the time to get out there everyday and work it all out - being guided by someone who knows what they are doing, is the best money you can spend to improve your catch. You just have to find the right guide. This is a picture from the web site our boat. Double catch over midnight caught 4 then had to wait til 12 then caught another 4. Berley techniques were talked about height above bottom at different time of the tide, trace setup to minimise dogsharks and rays talked about. Some GPS marks around Ardrossan given to us but have not used them for years. Still use most of these ideas today just not marks. How much salt you use mate? I've only used it fresh or briefly frozen. Got a huge carp in the Torrens today which is now in burley block form along with bread, burley nuts, old bait and some oil , I have an old mulcher which did the job but the fish paste was oozing out all the seams in the metal casing!!! This is only going to be a job for when the mrs is not around. 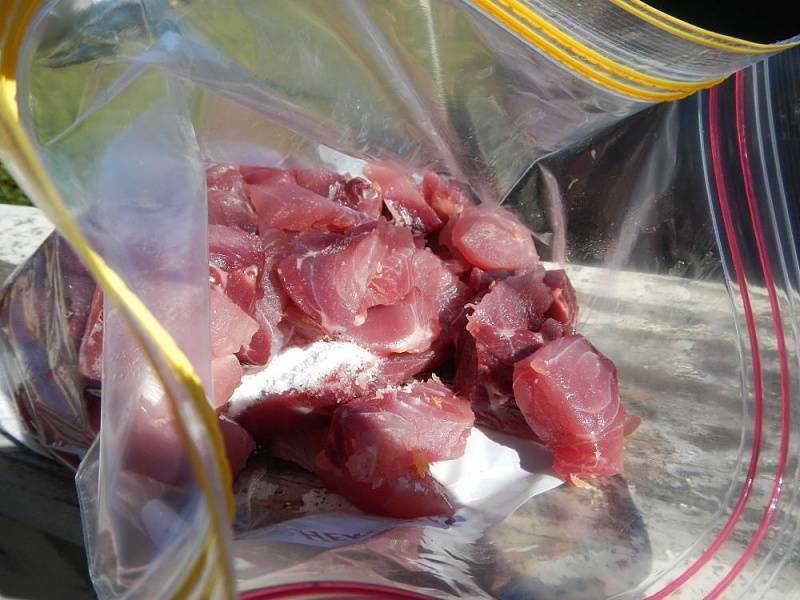 I use 1kg of supermarket salt on the fillets from a 5kg carp - I cut mine up into 3cm x 5cm x 1.5cm chunks. The chunks are put in a snap loc bag with the salt. Then I shake the bag until everthing is evenly coated. It usually takes a day or 2 for the majority of the water to be sucked out of the chunks. I hang my snap loc bags upside down - with a slight crack in the seal - so the water can run out and the flies cant get in. I've thought about collecting the juice for burley but never done it. Guys who are serious about salting bigger volumes of bait buy a 20kg sacks of pool salt from the hardware store for about $7 and use 20l buckets with a bung to drain out the liquid. 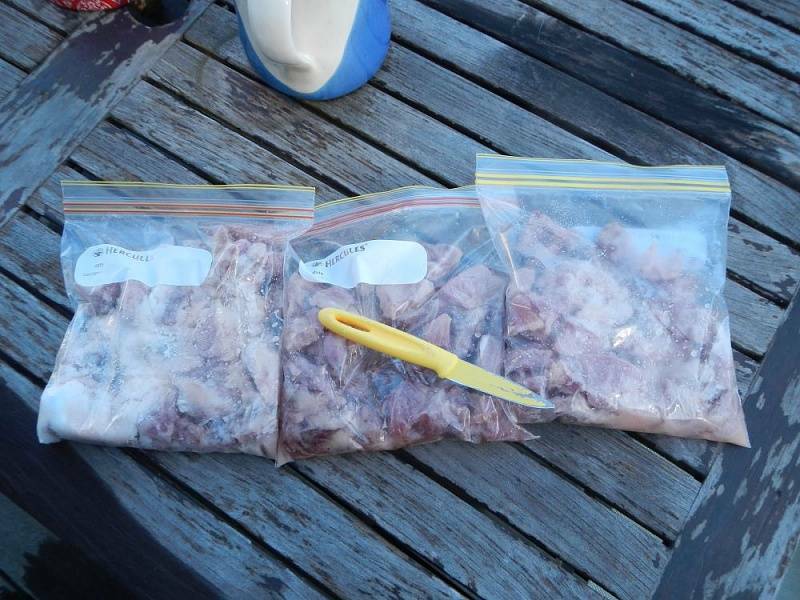 First time I took it out on a mates boat he was like - "You are not bringing that stinky crap on my boat"
second time it was "Ok it doesnt stink and the pinks like it"